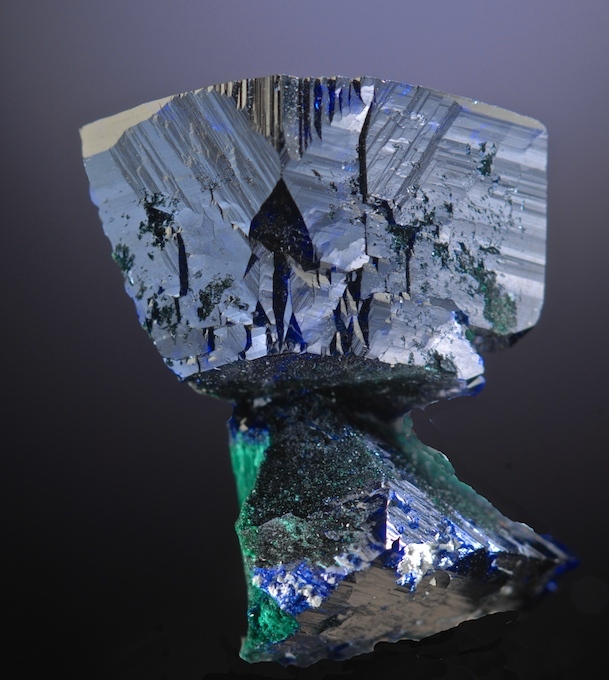 An old well formed and classic Blackdene Fluorite from the collection of Warren Johansson. Warren obtained this piece in an exchange with Harvard in 1938, so it is clearly a vintage specimen. The cubes reach 4.2 CM in diameter and have good sharp edges. 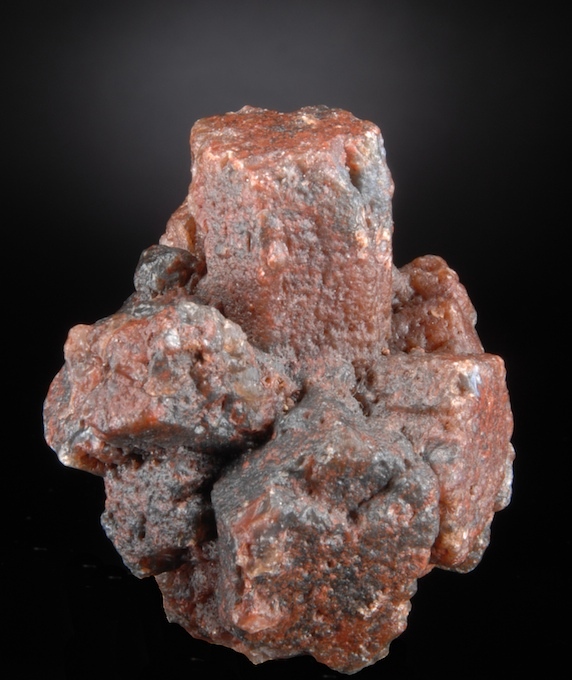 Several crystals display internal cleavage planes but the exterior shapes are intact and in quite good condition. 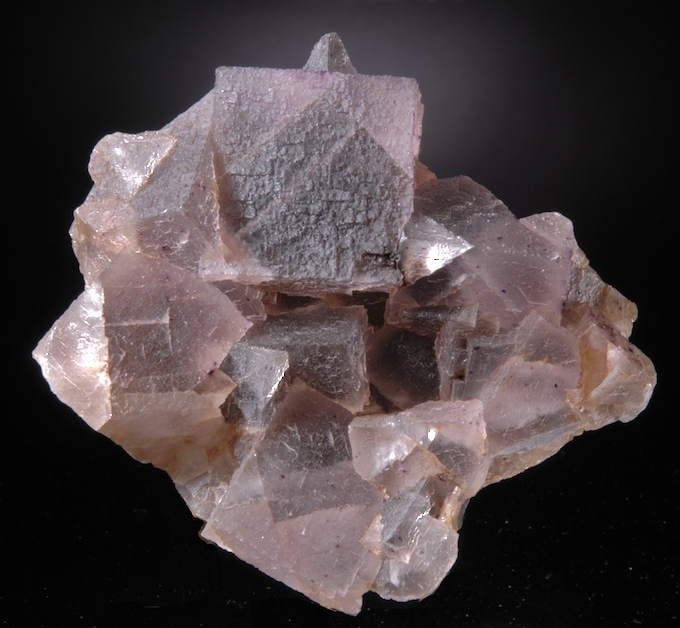 Minor edge wear is noted on the outside edges but the main crystals in the center are undamaged. The Galena is on the reverse side so will not be in any logical dispaly orientation. From the famed Pseudomorph suite assembled by Ed Swoboda, this is a very odd but well formed piece. The identification was confirmed by the Smithsonian (as noted on the old label). 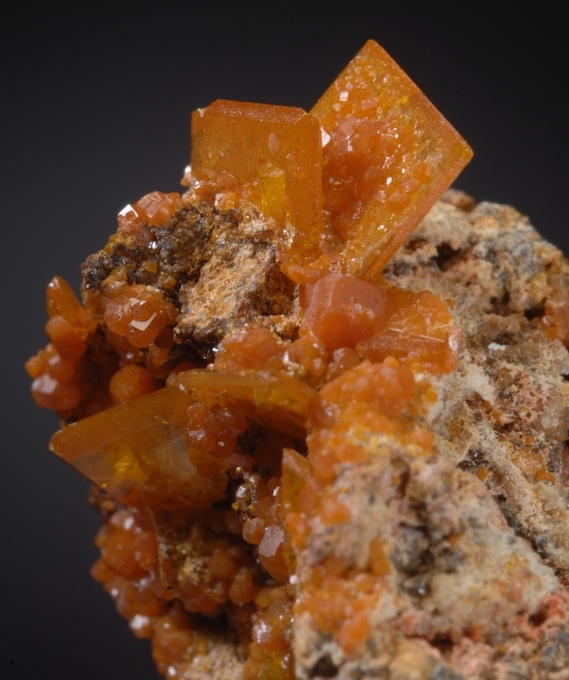 The shape of the original Vivianite crystals is perfectly preserved and the exterior is overgrown with tiny clear Calcites that have bright luster. 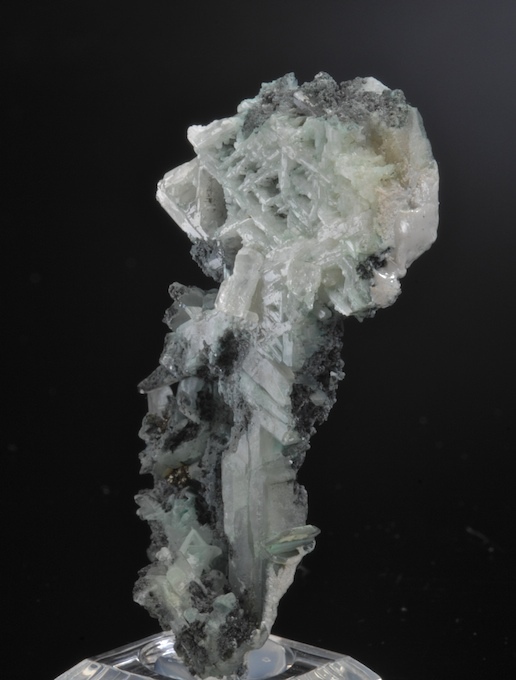 This is Carbonate Apatite and has replaced crystals up to 4 CM in size. This quite attractive Psuedomorph has a lot of good provenance, ex Ed Swoboda, Carter Rich, George Loud, and William Hladyz. The shape of the large Aragonite crystals are sharply preserved and the color looks much like an Agate more so than Chalcydony. This is almost a perfect floater and despite a few very minor chips that are not easy to find the condition is still very fine overall. Classic older Pseudomorph not often available and rarely in anything close to this quality and esthetic. 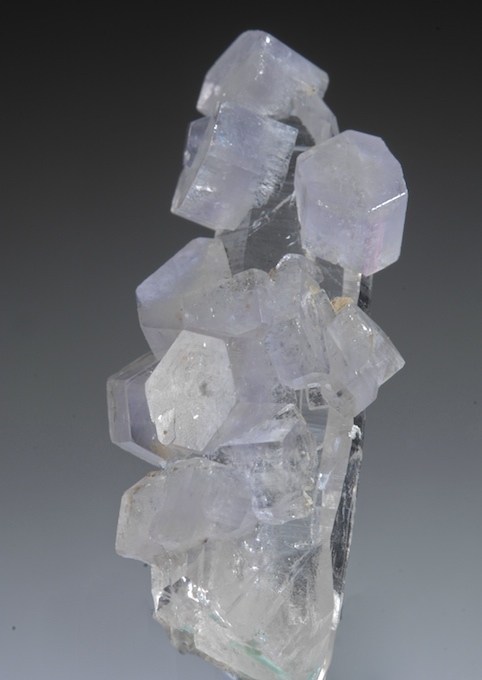 As simple gem-clear Calcite twin sits lightly connected to a flat limestone matrix. 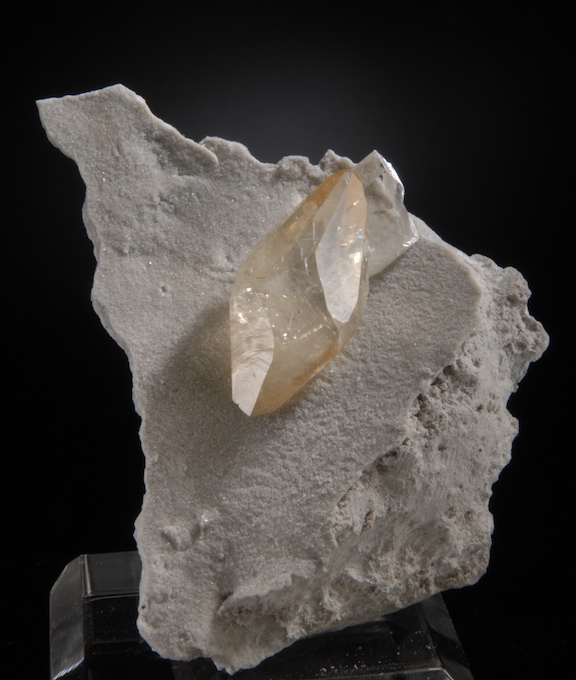 The Calcite shows zoning from Cognac to almost colorless. Sharp, perfect and incredibly lustrous. A small and quite affordable example of what has made Elmwood famous for world class Calcites! 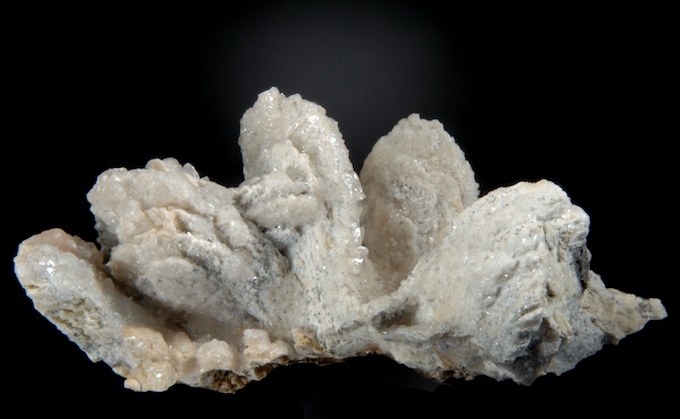 A second smaller Calcite is on the matrix that has a cleave on it, but it is hidden behind the main Calcite. Choice.